Dry mixed mortar, also known as mortar dry powder, dry mix, dry mix powder, is the emerging star material in building materials, and mainly consists of cementing materials, fillings, mineral admixtures, admixtures and other materials. The raw material composition is as follows: cement, gypsum, lime, etc. used for cementing materials; The main aggregates are yellow sand, quartz sand, limestone, dolomite, expanded perlite, etc. Mineral admixtures are mainly industrial by-products, industrial wastes and some natural ores such as slag, fly ash, cinerite, fine silica powder. In addition, there are also water retention thickening materials and various admixtures. Because it is the half finished mortar product made in the factory through accurate dosing and uniform mixing, so it just needs to add water to stir in proportion in the construction site, and the quality can be guaranteed. 1.Stable quality: For the current mortar configured at the construction site (both masonry mortar, surface mortar and ground leveling mortar), the quality is not stable, strength can not meet the requirements, and quality is poor, which has become a common fault in construction quality. The dry mixed mortar adopts industrial production, controls raw material and mix ratio strictly and ensures that the quality is stable and reliable. 2.Improved efficiency: The efficiency of the dry mixed mortar is improved, and the construction efficiency is improved greatly after the dry mortar is used. 3.Civilized Construction: The use of dry mixed mortar can remove the site materials, facilitate the management of construction materials, and ensure clean and civilized construction site. In addition, dry powder mortar uses thin layer to play the function of adhesion, liner, protection and decoration in the construction industry. 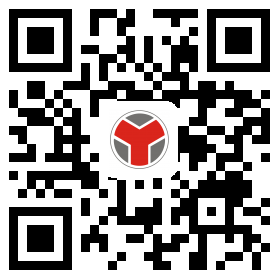 It has stable quality, and utilizes industrial waste and protects the environment. And it saves material, and is appropriate to mechanical construction. The application of construction and decoration projects is more and more extensive. At present, the production scale of dry mixed mortar in our country is not very large, the future market prospect is very wide, and the production equipment of dry mixed mortar will have good prospect. 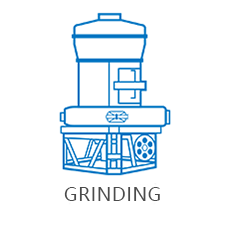 The production line of dry mixed mortar is mainly composed of elevator, premix, small stock bin, mixing machine, finished warehouse, packaging machine, dust collector, electric control cabinet and gas phase balance system. It uses efficient mixing machine with two-axis blades without destroying the original state of the material, ensuring that the insulation coefficient of mortar is not reduced by the shape of the insulation material, and ensuring the thermal insulation effect of the product. The production system of dry mixed mortar of General Mining Machinery is divided into: raw material pretreatment system, measuring system, mixing system, packaging system and dust collecting system. The production system of dry mixed mortar of General Mining Machinery adopts tower process layout. All preprocessed raw materials are lifted to the top of the raw material silo, and comes out of stock bin depending on their own gravity. 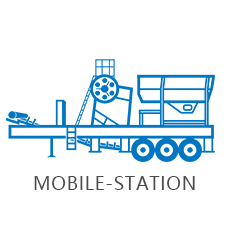 After computer batching, screw conveyor measuring, mixing and then to bag packaging by packaging machine, or by bulk vehicle in bulk, or entering finished product warehouse for storage, they become final products. The whole production adopts fully automatic computer control, intelligent identification, passive measurement, high sensitivity, stable performance, strong anti-interference ability and accurate measurement. Batching has high precision and it is flexible to use. The closed production system equipment makes the site clean and pollution-free, ensuring the workers' health. The modular equipment structure is easy to expand, so that the production capacity can be connected with the development of the market. Because the dry mixed mortar uses fine sand, the fineness modulus is usually 1.6-2.2, the preparation of dry mixed mortar can not be separated from sand making machine. 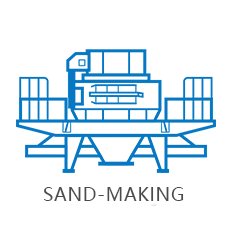 The production line of dry mixed mortar of General Mining Machinery specially develops a new type of VSI sand making machine, which is core equipment with a number of independent patent property rights in sand making industry. 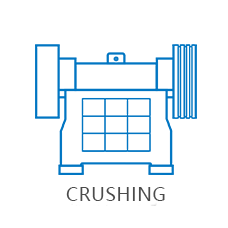 It blends two kinds of crushing methods: stone hitting stone and machine hitting stone. Full center feeding and center feeding are accompanied by annular cascade feeding method. For all kinds of ores and rocks of different hardness for secondary crushing and fine crushing, such as granite, natural pebble, andesite, rhyolite, diorite, sandstone, limestone, the strength of sand is different according to the different type of rock.